Give everyone at your event or office something they can remember. Our glow in the dark bracelets light up your name a unique touch. Make sure everyone at the conference, or whoever visits your booth or office does not forget you. 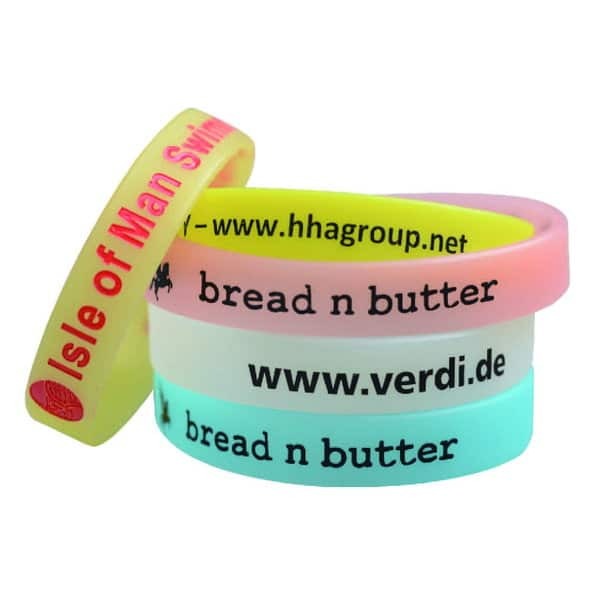 Completely customized with your logo, our bracelets give everyone a reminder of your organization’s name or website. 2 size options – adult and kids. 25mm width also available for an extra cost.